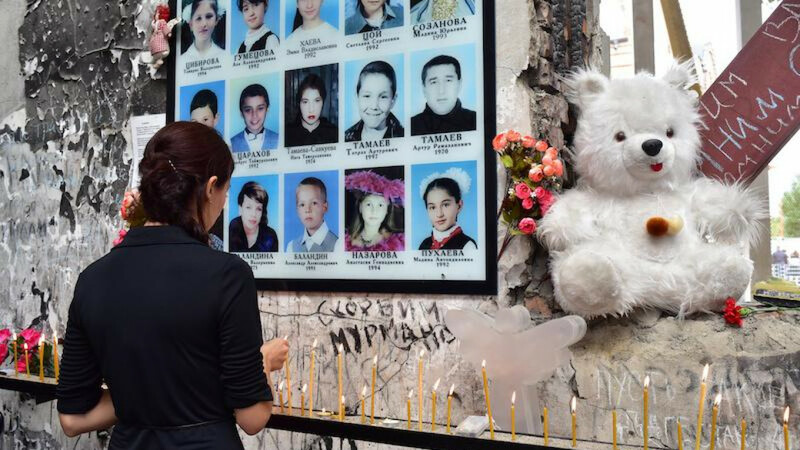 Russian police have detained grieving relatives at an event commemorating the Beslan school massacre after they criticized Russian President Vladimir Putin, the Novaya Gazeta newspaper reported Thursday. 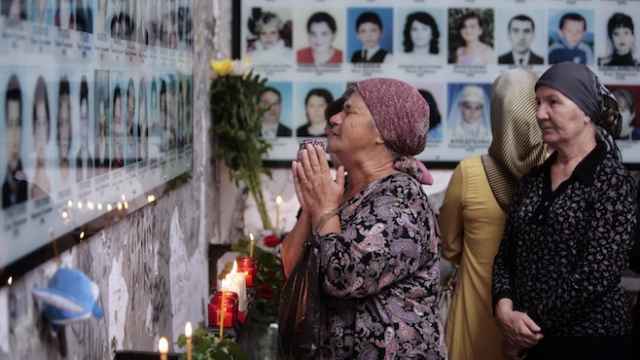 Five women who lost relatives in the tragedy were detained after they removed their jackets to reveal t-shirts with the slogan “Putin - Butcher of Beslan,” the newspaper reported. Officers allegedly removed the women from the crowd and blocked them in a corner of the room while an official delegation, including the head of South Ossetia, Vyacheslav Bitarov, entered the hall. The five women were subsequently told that they were disturbing a public meeting, and taken to a police station..
Two journalists reporting on the event were also detained, with officers citing irregularities with their passports and documentation. 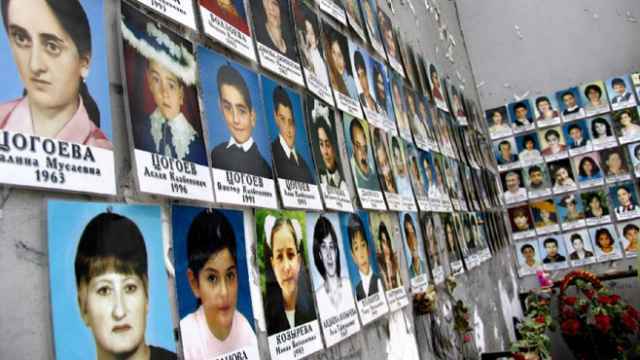 The 2004 Beslan school massacre in the Russian Republic of North Ossetia saw 186 children killed after terrorists seized a school building. The three-day stand-off only ended when Russian troops stormed the school, with the overall death toll reaching 334. 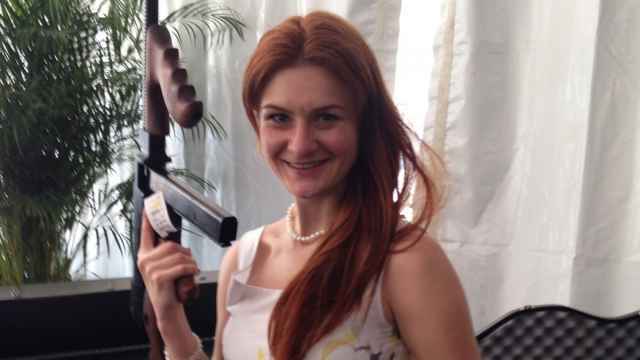 Many have since criticized Russian authorities’ and President Vladimir Putin’s handling of the situation, with activists demanding that Russian troops’ use of heavy fire during the storming of the school, including using flame-throwers and tank fire, be further investigated, Novaya Gazeta reported.